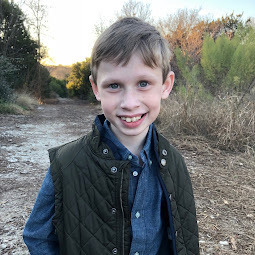 Bennett Brinson Gamel: Fighting Cystic Fibrosis: Things I wish I had known going in to Bennetts hospitalizations. Things I wish I had known going in to Bennetts hospitalizations. Update on Bennett: things are mainly the same but ever-so-slightly improving. He is able to stay off the potty for slightly longer periods of time than the day before...so maybe if yesterday he was going to the bathroom every 7 minutes, it seems like today he is going every 10 minutes. Even this slight improvement is encouraging. He continues to need pain medication but not constantly. Thankfully, even though he's on the potty a lot, Bennett is happy. Legos and ipads just travel to the bathroom with him. One of the things I have learned about health care since having a child with a chronic disease is that so much of medicine is still unknown. Most drugs prescribed for children have actually never been tested in children. Many therapies that we participate in have never actually been studied to find out exactly how effective they are. A doctor once joked with my friend, "I don't call it 'my practice' for nothing!" This isn't to say that health care decisions aren't grounded in science or fundamental understanding - much of medicine is educated guesses. But, it is to say that, as a parent of a child with a progressive disease, I can't solely rely on my health care teams to know everything about how to care for my child. I have to take a super active role...and even then, even when working together, we are going to miss things. 1.) I wish I had known just how major of a surgery that bowel resection is. Brian and I were ill-prepared in our understanding of what exactly this surgery was going to mean for Bennett or for us. I didn't know going in to surgery that he would be off of school for two weeks or more. I didn't know he would be down for as long as he was. Brian and I underestimated exactly how much of an insult this surgery was to his GI system. And, we underestimated how much CF complicates everything. 2.) I wish I had known people with CF should always be given a "bowel regimen" after surgery. 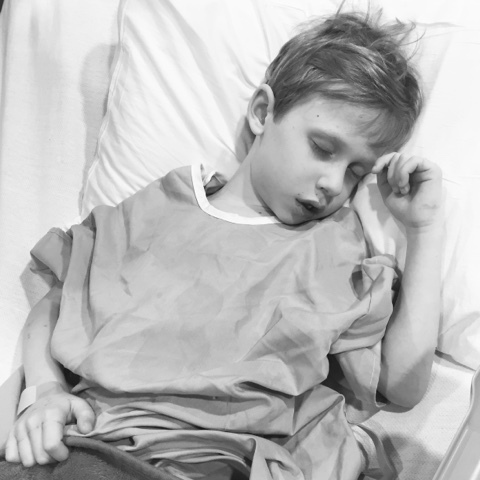 It wasn't until after our second hospitalization that I learned that many people, but particularly people with CF, are prescribed a bowel regimen of stool softeners and Miralax after surgery to prevent narcotic-induced constipation. Unfortunately, this was not brought to our attention as something we should even have been concerned about until we were readmitted for significant issues of constipation. 3.) I wish I had known that people with CF need enzymes even when they are nil by mouth or fasting. What the heck?! I actually found this one out by doing some researching online in the middle of the night once we were home from the hospital. 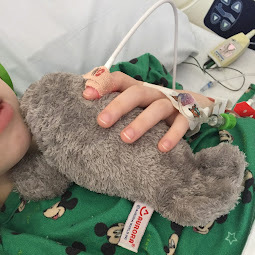 Boy, I wish that the post-operative days when Bennett wasn't yet tolerating his feeds, I had known he still needed a small dose of enzymes to digest gastrointestinal mucus secretions. 4.) I wish I had known just how sensitive and complicated the GI system is and how high a risk incontinence is after bowel surgery. I'm pretty sure this was mentioned in a list of "random things that could happen because of the surgery," along with "risk of death" and "risk of infection". But what I didn't know is that incontinence is such a high risk that this is one reason doctors are super reluctant to do surgeries like this. 6.) I wish I had known better about CF and it's complications with pain meds. CF puts a strain on the liver. So, it's not good for Bennett to be on too much Tylenol or Motrin as they are both absorbed by the liver. I ended up learning that narcotic pain meds are actually better for Bennett with regard to potential long term damage. But then narcotic pain meds slow the already slow CF gut. So, it's hard to know what's best for a CF patient. Through our issues with not being able to control Bennett's pain, I learned that some pain meds can be given through the nostril, some orally, some through the IV - some pain meds work quickly and run their course quickly, others take a while to work but stay in the system longer. 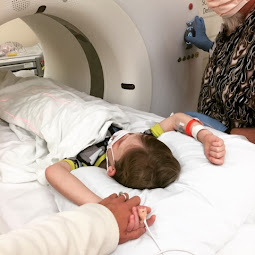 My lack of knowledge of pain meds made my conversations with my health care providers more difficult because, I felt, like I was less informed with getting Bennett the care he needed. 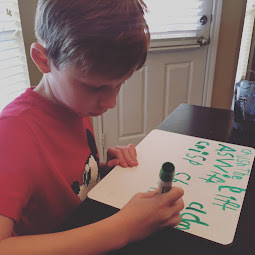 Although I don't think it's my responsibility as a patient to do the doctor's job, it might have helped me to have had more knowledge about how pain meds work and which ones might be better for Bennett, considering his CF. As it is for many mamas, it's easy for me to fall into a trap of guilt: "I wish I had done this..." and "I wish I had done that..." "It's my fault that I didn't do this..." "It's my fault that I didn't do that..."
Hindsight is always 20/20. I know this. But, oh, how much I wish I could go back and make adjustments to the past. Wouldn't that mean Bennett wouldn't have had to suffer? I certainly wish that was the case. I'll never know. I do know that our care at Scott and White under our Pediatric Surgeon's leadership was top-notch and while there are things I wish had been different, these things weren't necessarily the failure of any one person. If anything, these are failures of a broken health care system. But I thought I'd share them as a reminder to myself of the things I hope to change next time we are in a similar situation. I also wanted to share in hopes other CF families may benefit from our new knowledge. I will be much more aware of how major future surgeries may be. I will insist on a post-operative bowel regimen. I will make sure Bennett takes enzymes whether he is eating or not. I will not underestimate the complicated nature of the GI system. I will make sure our CF team is involved in all future surgeries. And I will have studied up much more about pain medications and the way CF complicates everything. All good information, thank you for sharing. I need to file it away in my brain if surgery comes up again for my nephew. I have been following your blog for a while now and I really appreciate the info that you have shared. It really has helped me in becoming an empowered momma and advocate for my son's needs.